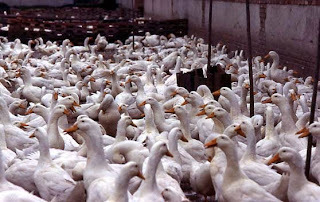 This Just In...: Ducks Ducks Ducks everywhere!!! It was cold hard work but both Janelle and I really enjoyed it. As vegetarians we were more interested in the microgreen operations they have but didn't get a chance to see that this time. We'll be back out again though during the summer to help them out with some farm work and hopefully at a farmers market this summer. I can see farming being really hard but so rewarding. Mark my words...another year...maybe two...then I'm going to be done with this grey office drone career that I've boxed myself into. *above farm stock photo but similar.